Advocating the Rights of Children (ARC), is a non-profit, Non-Governmental Organization, registered in December 2009, with a Mission to protect and promote the rights and well-being of children in the Maldives. ARC’s Vision is to make Maldives a society where every child has the support they need to be healthy, stay safe, enjoy and achieve. ARC has launched several awareness campaigns including Road and Internet Safety for children, Health and Nutrition, as well as Child Abuse Prevention. ARC also works closely with childrenâ€™s shelters, conducting many programmes for the holistic development of the children as well as capacity building trainings for their caretakers. 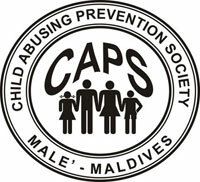 CAPS (Child Abuse Prevention Society) was formed on 16th July 2009. Child abuse prevention in an advocacy level is our target. Fighting for the rights of children , specially abused children and families suffering from the issue. Also training the community on preventing child abuse prevention is also in our mandate.So far we have conducted 6 workshops for teachers and parents of different atolls.We also have conducted religious sessions to the community.We also work with the families helping in the court cases. In future we have planned to conduct a training on the importance of working in social issues which is target to youth.We are also planning to open a center to broad our services to the community for whom our services are needed.